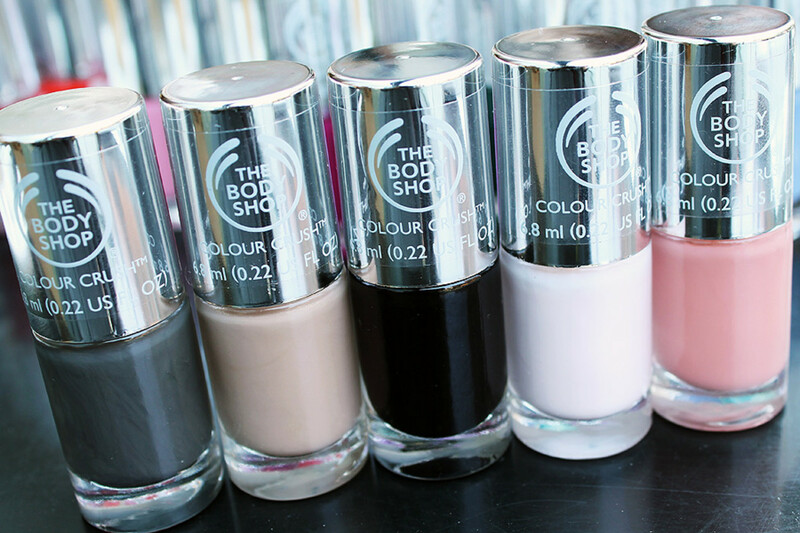 Does anyone remember The Body Shop nail polish from a few years back? Either way, we expect this new collection of The Body Shop Colour Crush nail colour to make a splash when it launches this October. 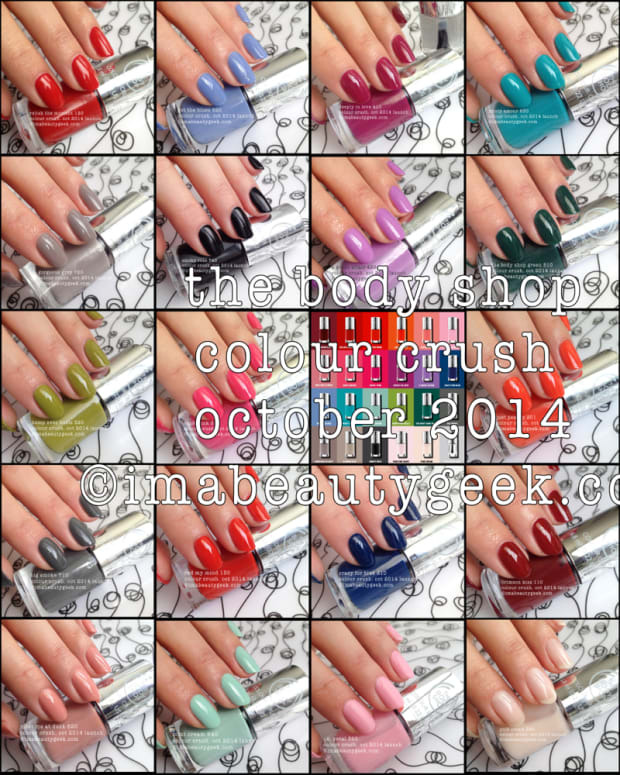 *update august 13, 2013:swatches of the entire body shop colour crush nail collection to share with you here! 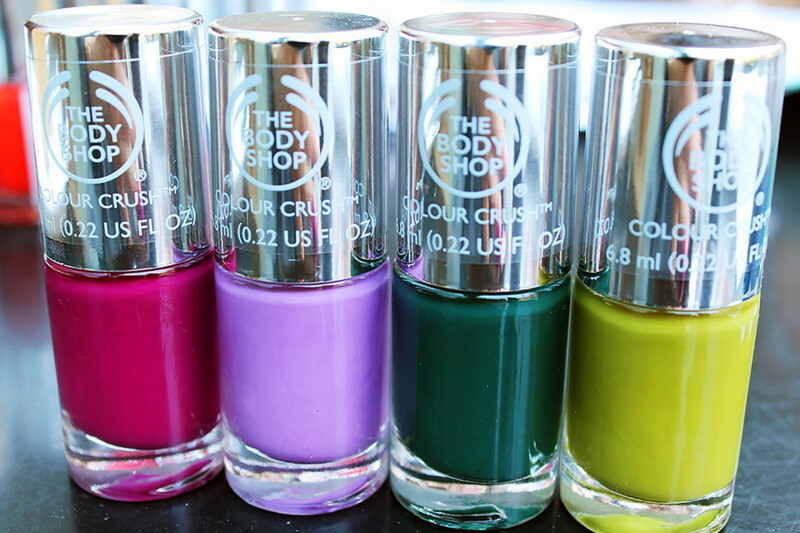 First things to know about The Body Shop Colour Crush Nail Polish is that the line is vegan and technically 5-free. However, in Canada, The Body Shop nail polish can only claim to be 4-free because toluene is a banned ingredient here -- announcing that it isn&apos;t in your formula is frowned on by Health Canada because it&apos;s not supposed to be there anyway. 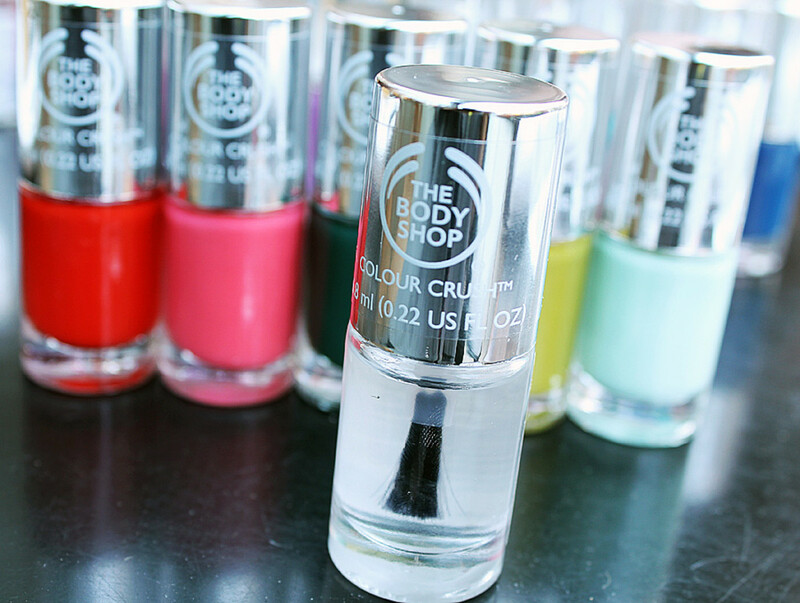 The Body Shop Colour Crush Nail Polish formula is made without Dibutyl Phthalate (DBP), formaldehyde, formaldehyde resin or camphor. (Again, toluene is a banned ingredient in Canada, so it&apos;s not in the formula either.) 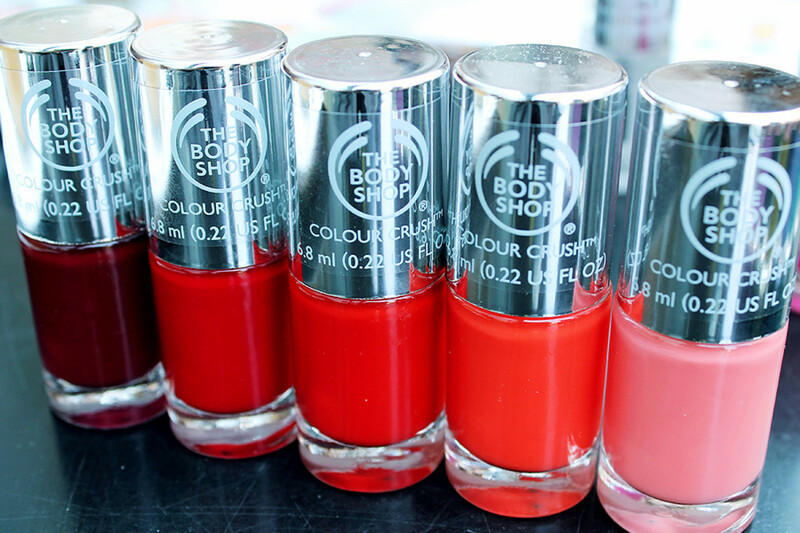 Above: The Body Shop Crimson Kiss, Relish the Moment, Red My Mind, Just Peachy and Peach Babe. However, this new Body Shop nail polish formula is made with Community Fair Trade Marula Oil. 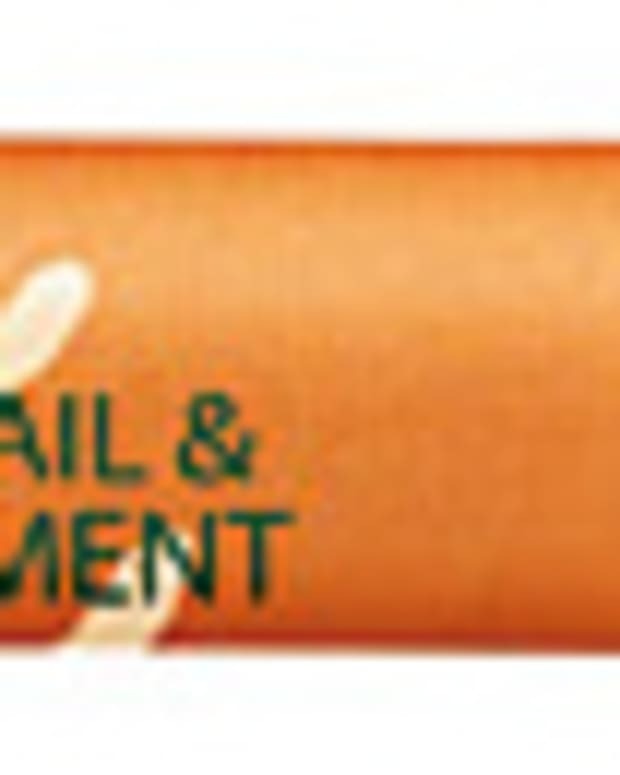 I&apos;m not sure how that can help nails in this kind of a product, but it&apos;s there. 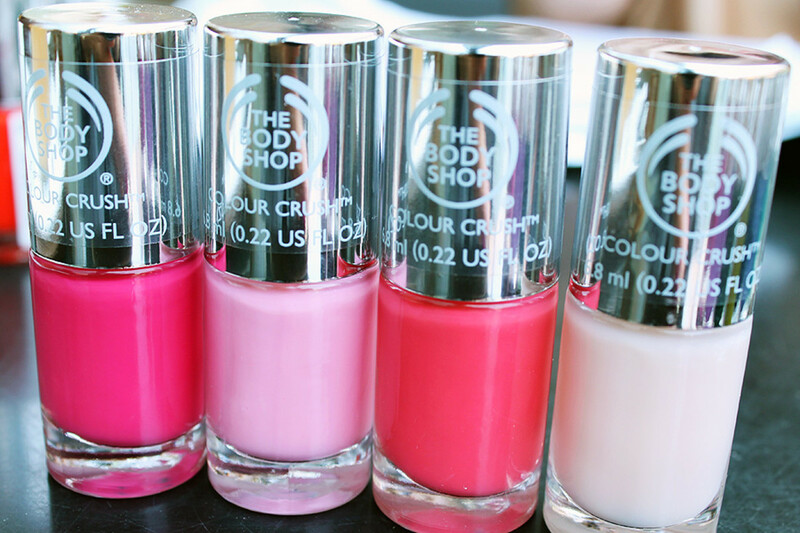 Above: The Body Shop Cupid Pink, Oh Petal, Rosy Cheeks and Pink Cream. 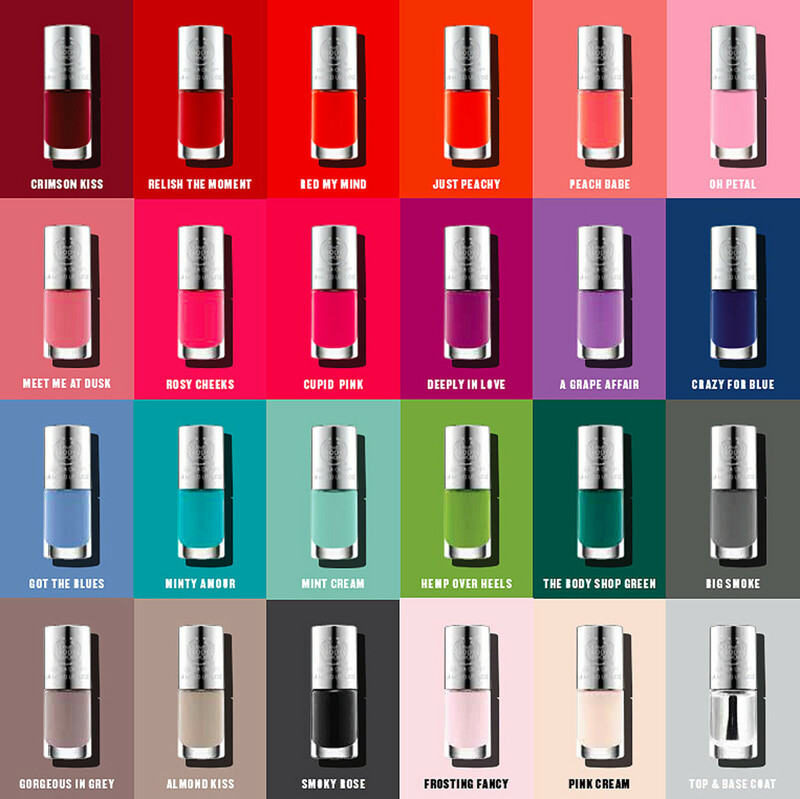 The Body Shop Colour Crush Nail Polish collection is a permanent addition to The Body Shop shelves, and 24 bottles strong, including a clear shade. 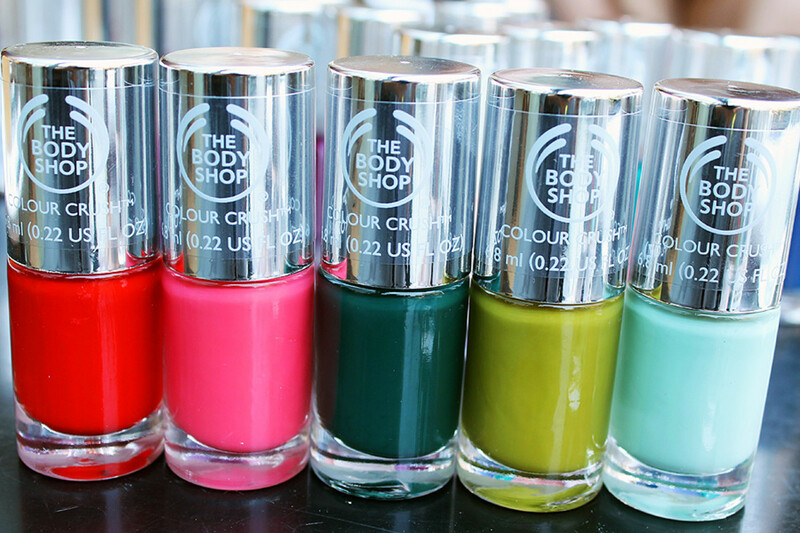 Above: The Body Shop Colour Crush Nail Polish in Deeply in Love, A Grape Affair, The Body Shop Green and Hemp Over Heals. 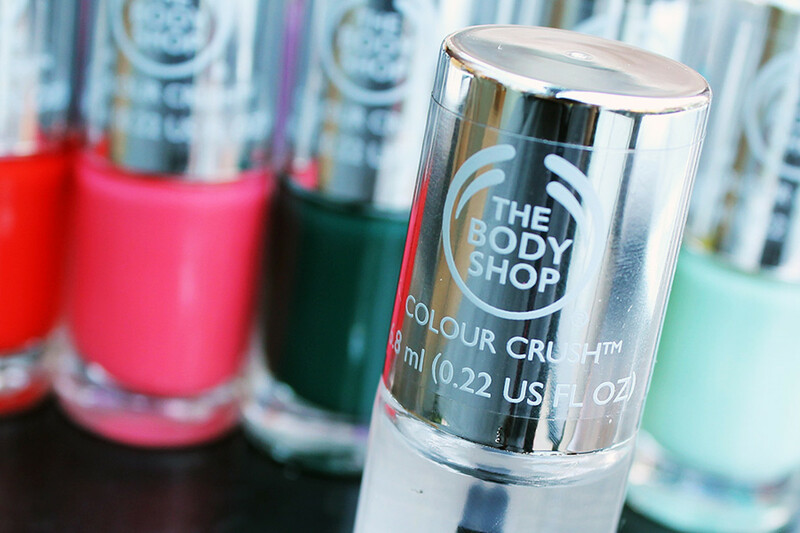 Each bottle of The Body Shop Colour Crush Nail Polish retails at a very reasonable $6 CAD. 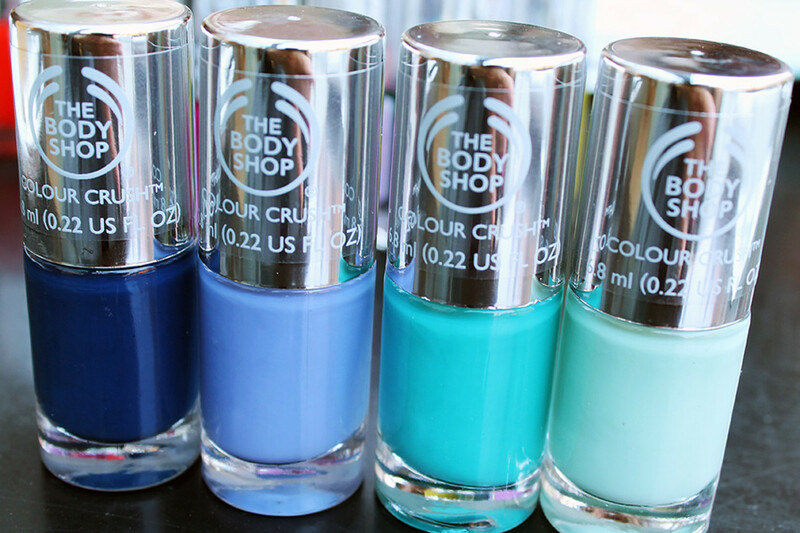 Above: The Body Shop Colour Crush Nail Polish in Crazy for Blue, Got the Blues, Minty Amour and Mint Cream. 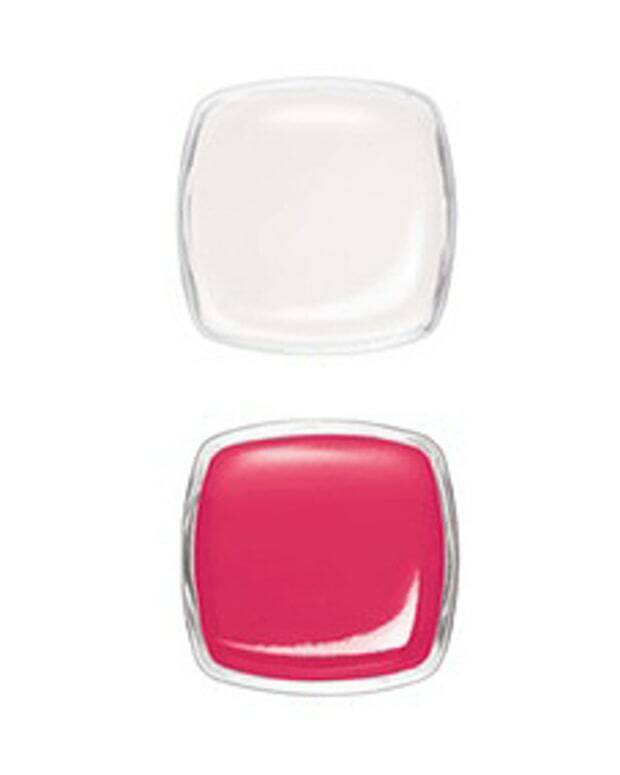 Above: The Body Shop Colour Crush Nail Polish in Big Smoke, Almond Kiss, Smoky Rose, Frosted Fancy and Meet Me At Dusk. These five are The Body Shop&apos;s picks for Fall&apos;s hot shades: Red My Mind, Rosy Cheeks, The Body Shop Green, Hemp over Heals, and Mint Cream. Whaddya think so far of the collection and of the The Body Shop&apos;s Fall picks?